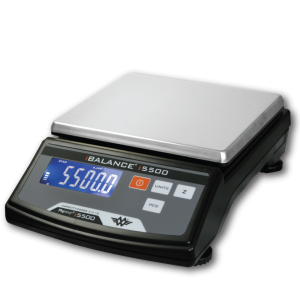 A Heavy-Duty Water-Resistant Scale with a LED display. 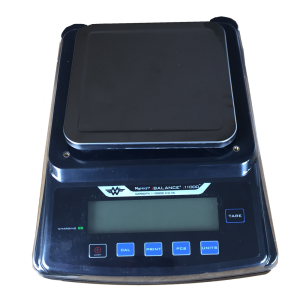 The My Weigh WR12K Waterproof Scale is heavy-duty & durable all in one! 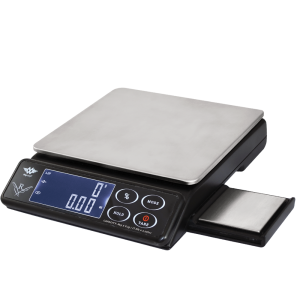 Let’s start with the rugged, professional design: with a P66 Waterproof designed body, this scale was carefully formed to help withstand almost any water situation – yes, this scale is tough! The Stainless-Steel platform measures 8.5″ x 7″, so you have a good amount of space to weigh your items as well as an easy platform to clean when the job gets dirty. 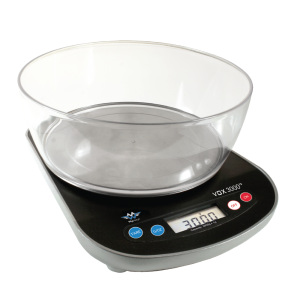 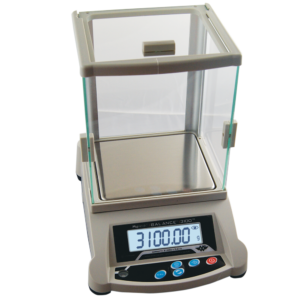 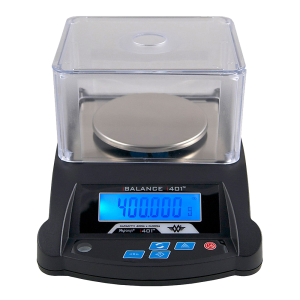 With four weighing modes (Kilograms, Grams, Pounds & Ounces), an easy-to-read numerical display, adjustable Leveling-Feet, Level-Bubble (to help target even weighing surface), dual-sided display (excellent for showing weighing results to an audience), a charging indicator with built-in rechargeable battery & included AC-Adaptor that lets you know the scale can be used in ‘battery-mode’ (excellent for travel), this scale was built with durability in mind. 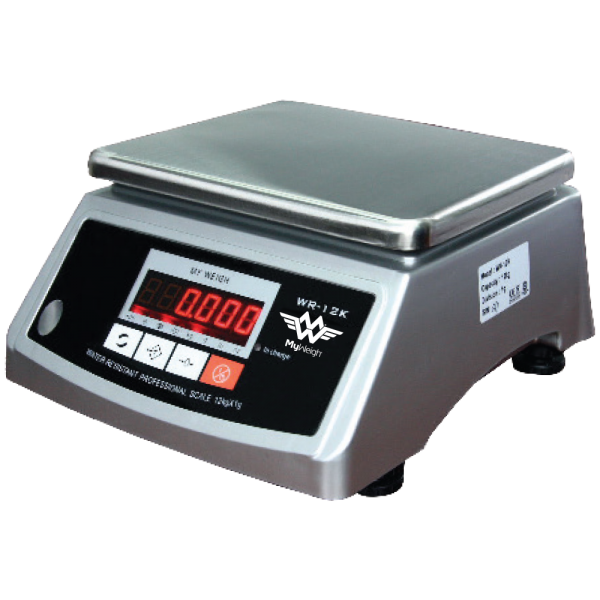 One of the best features that the WR12K offers is the innovative ‘Touch-Key’ feature: this allows the user to easily place their finger on a button without having to press it. 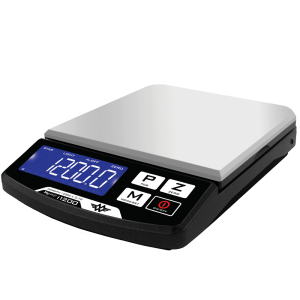 This feature is amazing & helps the longevity of your scale as well since you won’t have to worry about buttons breaking. 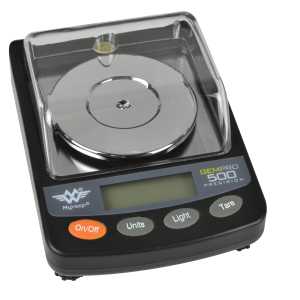 If you’re looking for a tough scale with the ability to last, definitely add this scale to your list.